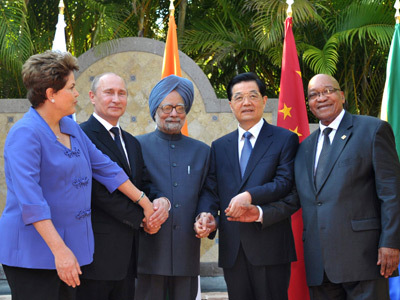 The BRICS countries have pledged to provide about $70 billion to the International Monetary Fund's global firewall against Europe’s debt crisis, adding to the IMF’s lending fund of $380 billion, as they met at the G20 summit in Mexico. The IMF said, China has offered $43 billion, while Brazil, Russia, India and Mexico promised $10 billion each. Meanwhile South Africa, Turkey, Colombia, Malaysia, New Zealand and the Philippines also promised smaller sums. China’s contribution was one of the largest ever offered falling below only Japan's $60 billion and German's $54.7 billion. Meanwhile the world largest economy the US hasn’t contributed anything. With the contribution BRICS nations renewed calls for greater voting power at the IMF and World Bank, adding that the money should only be used as a “second line of defense” when existing funds run out. 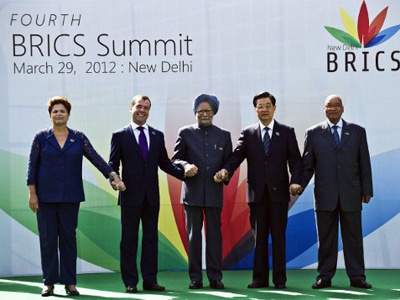 Brazil even threatened to withhold its help, if Europe won’t provide BRICS with a bigger say at the IMF. "These new contributions are being made in anticipation that all the reforms agreed upon in 2010 will be fully implemented in a timely manner, including a comprehensive reform of voting power and reform of quota shares," BRICS leaders said in a statement. 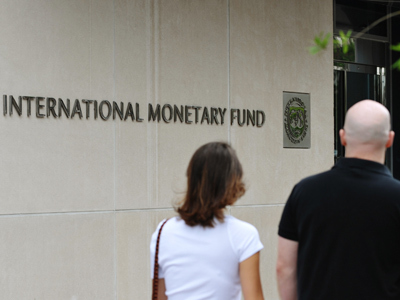 The financial help from the dozen countries would provide $456 billion, exceeding the IMF target of $430 billion, Christine Lagarde, the IMF chief said. 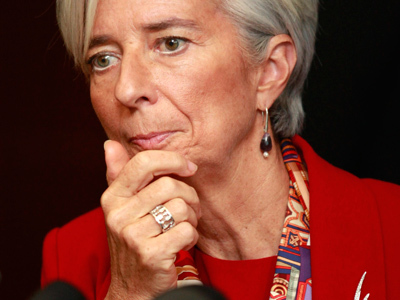 Earlier Lagarde said about $600 billion are needed to battle the crisis, but the IMF managed to secure only $340 billion during the meeting in Washington in April.